craftsmanship, reliability, precision and quality! Nossin Fijnmechanische Industrie stands for craftsmanship, reliability, precision and quality. By combining these attributes with our ultramodern machinery and 24-hour production, Nossin Fijnmechanische Industrie can guarantee that we deliver according to your requirements. Nossin FMI produces and assembles complex fine-mechanical components with a repetitive character against the right price/quality ratios and with a guaranteed precision. 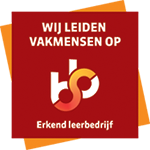 Nossin FMI delivers in accordance with the terms and conditions of the Koninklijke Metaalunie, is a member of the Mikrocentrum High-Tech Platform and of the Dutch Precision Technology Association. 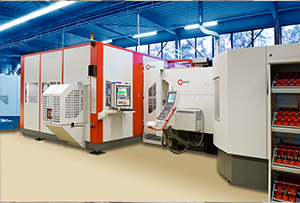 You can count on Nossin FMI to deliver high-quality, fine-mechanical components on time against the right cost price. Nossin can do this thanks to its ultramodern machinery, superb specialists, a conditioned production environment and the full-service production process, in which precision products are our hallmark. Belangrijke peilers zijn nauwkeurig gemeten producten. 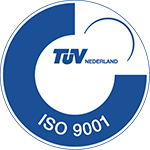 Nossin FMI has been ISO certified since 1993. The company has won various quality prizes. For example, in 2000 Philips Components proclaimed us the Best Equipment Manufacturer and in 2009 Nossin FMI received the Best Cost Supplier Award from trade journal Link. Nossin Fijnmechanische Industrie is a dynamic company with an established history. Nossin FMI has been active in the metal processing market since 1978. 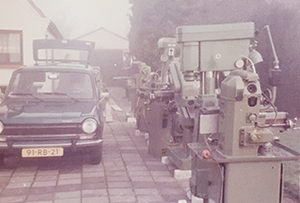 Today’s Nossin Fijnmechanische Industrie is the result of several important steps in the company’s history. Hans Nossin set up his own one-man business Metaaldraaierij Nossin. He purchased a turning and milling machine and put it in his parents’ garage business premises. Following the purchase of various machines, conditions in the garage became too cramped. So the work floor was doubled by taking over the entire garage. In this period two employees also joined the company, so production could be increased. 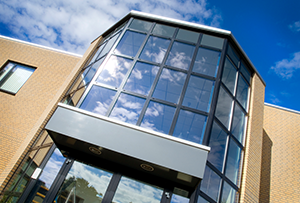 After 7 years in the garage, the company needed new premises to realise its growth ambitions. Metaaldraaierij Nossin therefore moved to an existing building on the Molenstraat 9a in Aarle-Rixtel. 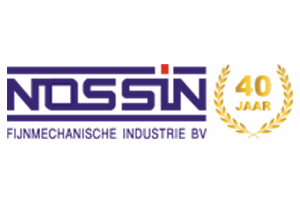 The name changed to Nossin Machinefabriek to more accurately reflect the activities carried out by Nossin at that time. 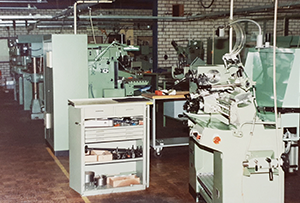 In 1986 and the following years various machines were purchased including the first complete CNC-controlled milling machine. Hans Nossin purchased the building next door, Molenstraat 11a. This safeguarded enough room for growth for the foreseeable future. In 1999 the then mayor of Laarbeek described the building on the Molenstraat as a real working environment. “Gosh, space is really tight here, although I have to say that gives a friendly atmosphere.” In a nutshell: there was once again a shortage of space; a start was made on building brand new premises. This building on the Rijakkerweg, was designed according to Nossin’s wishes and requirements. 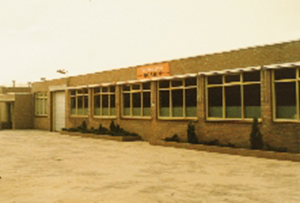 In November 2000 the company relocated from the Molenstraat to the Rijakkerweg. A brand new building that is still Nossin’s premises. 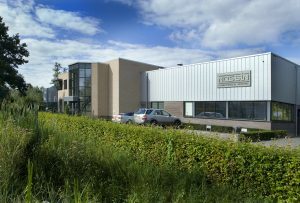 Once again a new company name was needed to describe Nossin’s activities; the company became Nossin Fijnmechanische Industrie (FMI). 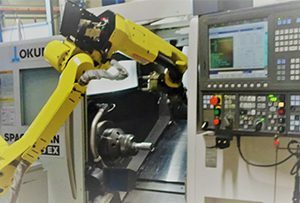 In 2003, Nossin FMI was the first in the world to purchase a Hermle 5-axis CNC milling machine with a pallet exchange system and a 6-axis Kuka robot. And as you might have guessed, this machine was extremely large. This led to a change in the factory layout in 2004. The assembly department was given a separate hall that was fitted with all of the necessary tools. This gave extra space in the processing hall where even more similar machines could be placed. And that also happened over the next few years: Nossin FMI expanded its milling machinery with two more 5-axis CNC milling machines with a pallet exchange system and a Kuka robot. Following the implementation of the 24-hour concept in milling, attention fell to the turning department. Two new Okuma lathes with powered tools were purchased, one of which has a sub-spindle. Both machines were equipped with a rod supply system. Clients imposed increasingly stringent production requirements, for example, the demand for clean products rose. To meet this demand Nossin FMI purchased a washing street with several cleaning baths. 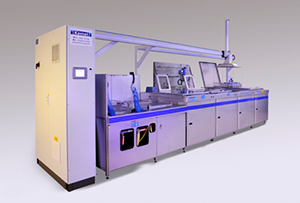 A cleanroom with purification class 7 was also constructed. All of this was done to satisfy the demand for a total package of clean products. By now Nossin FMI has grown up to be a family company. For years, Hans and his wife Ine ran the company firmly and with pride. However, son Robert has had the ambition to take over from his parents since he was a little boy. In 2016 Robert formally took over the company. At this time he was already working there as a employee for years. With this, the second generation Nossin FMI was in place. After a well controlled growth in automised production of fine mechanic parts the current productionroom became too small. More machines was not an option, therefore the building nextdoor was purchased. After renovation the two buildings were combined to form one big building. This doubled the productionspace to about 5000 sq meters. 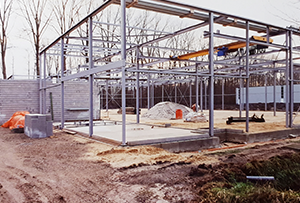 The turningfacility was completely relocated to create ‘breathingroom’ for both the milling and turning productions to grow. 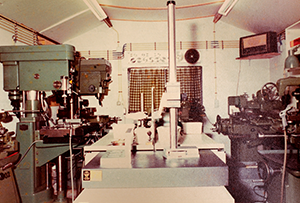 That same year more turning and milling machines were purchased to keep up with a growing demand. This is the year of Nossin FMI’s 40th anniversary. In 2018 we look back at a successfull history characteristic by it’s innovative culture, consistant growth and no-nonsense mentality. “What you see is what you get”. Both entrepreneurs, Hans and Robert, are straight up guys. This brought the company to where it stands now and clients know that that’s why they work with Nossin FMI. It’s these clients that everyone within the Nossin FMI team works so hard for, so they will get exactly what they ask for. Nossin Fijnmechanische Industrie produces complex fine-mechanical components with a guaranteed high level of precision, in all types of steel and non-ferrous metals. It is specialised in the machining of aluminium products. Nossin FMI also has considerable experience in the assembly of components. It can therefore assemble the components produced into modules. Nossin FMI works for clients in various industrial sectors, such as machine and equipment construction, the semiconductor industry, the medical and laboratory technology industry, and the electrotechnical and power industries. Nossin FMI also manufactures components for measurement and monitoring equipment. Thanks to the short lines of communication between Nossin FMI’s specialists we can work effectively and efficiently each day, 24 hours per day and 6 days per week. The result: an optimum process/quality ratio.